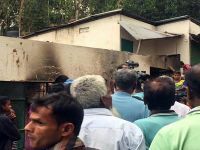 All eight members of a family were killed as fire originating from an electric short circuit broke out at a house in the northern district of Joypurhat town last night, according to the officials at local Fire Service and Civil Defence office. 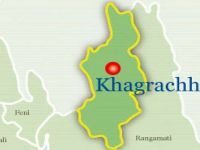 The incident occurred at 10 pm on Wednesday in the city’s Aramnagar area near Joypurhat Shaheed Zia Degree College, according to Fire Station Inspector Sirajul Islam. 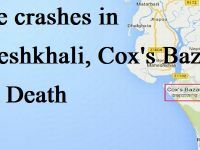 The victims are Dulal Hossain, his wife Momena Begum, their four children Mumin, Bristi, Hasi and Khushi, Mumin’s wife Korina Begum and son Noor. Sirajul Islam, an inspector of Fire Service and Civil Defence in Joypurhat, said Momena Begum was cooking rice in the rice cooker at her kitchen around 10:00 pm yesterday. Suddenly, the fire broke out in the house in Aramnagar area and engulfed the entire house. The victims were first taken to the local hospital in critical condition. 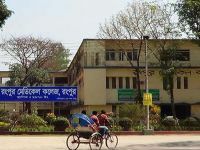 All of them died on the way to the Dhaka Medical College Hospital, according to Joypurhat Superintendent of Police Rashidul Hasan.